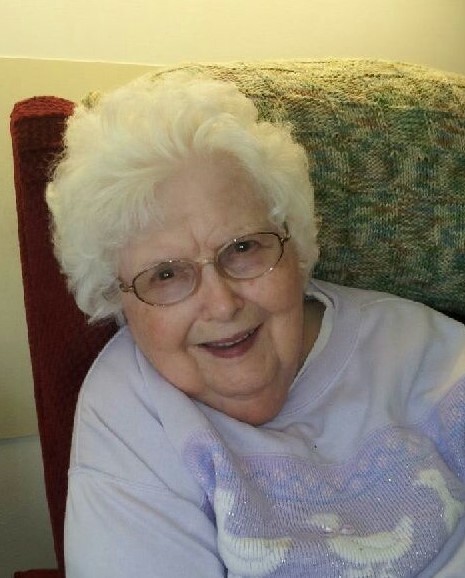 Nova L. Wingo, 88, of Taylorville, IL, passed away at 2:56 a.m. on Thursday, January 17, 2019 at Taylorville Care Center in Taylorville, IL. Nova was born February 13, 1930 in Cabool, MO, the daughter of Ernest and Celeste Hale. She married Paul E. Wingo on April 16, 1953 in Omaha, NE. He preceded her in death on October 4, 1994. Nova graduated from high school in Cabool, MO, and went on to obtain a degree from business school. She worked for an insurance company when she and Paul lived in Omaha, NE, but was a homemaker, raising their 6 kids for most of her life. Nova was a crafty woman, making anything you can imagine out of just about anything. She enjoyed knitting, crocheting, and jigsaw puzzles. Nova was a long-time member of the Eagles Club 1425. She was beloved mother, grandmother, and mother-in-law. She was also preceded in death by her parents; son, Dale Wingo; granddaughter, Kimberly Daniels; brother, Dillard Hale; and sister, Edna Bauman. Visitation & Funeral Ceremony: The family will receive guests from 10:00 a.m. until the time of ceremony at 11:00 a.m. on Wednesday, January 23, 2019 at Shafer-Perfetti & Assalley Funeral Home, 202 W. Franklin St., Taylorville, IL 62568, with Pastor Gerald McPhillips officiating. Memorial Contributions may be made to: the American Heart Association, 208 S. LaSalle St. Suite 1500, Chicago, IL 60604, or Shriners Hospitals for Children, 2900 Rocky Point Sr., Tampa, FL 33607.